"Throughout your career build your own personal Board of Directors. Surround yourself with people who have skill sets that are different than yours. Do not underestimate the impact of a great mentor." 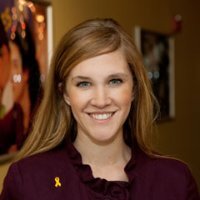 Amy has a passion for the nonprofit sector. “How to be business savvy, while changing the world.” She earned her MS in Nonprofit Management in 2010. Amy balances a career, motherhood and military life. As she likes to say: "It’s not always pretty but it gets done." She has been able to build an impressive resume with experience in the nonprofit sector and government while following her husband around the country for the past 10 years. She has a huge heart for bringing people together to helping them make connections to achieve their potential.